Find Harrisburg, NC Homes for sale. View Photos, Maps and MLS Data Now! Bridge Pointe - Don't miss your opportunity to own a corner lot in Harrisburg! BRING AN OFFER!! ! MLS#3499443. Keller Williams University City. This home is a must see! Conveniently located near I-485. MLS#3495166. Redfin Corporation. 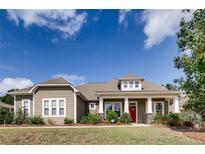 Cabarrus County schools and taxes and just minutes to I-485/Hwy 49 and shopping. MLS#3498456. Bestway Realty. Abbington - Large bonus room for extra entertaining space! MLS#3497069. Keller Williams Fort Mill. 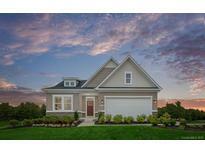 Come Check Out All That Harrisburg And Canterfield Estates Have To Offer! MLS#3498765. Allen Tate Concord. Hawthorne - Do not miss out on this one! MLS#3498384. Northstar Real Estate, LLC. Come view the enclave section to select your options for your forever home all while enjoying maintenance free lawn care. MLS#3498466. NVR Homes, Inc./Ryan Homes. No matter what options you choose, this floorplan is sure to fit your needs! MLS#3498467. NVR Homes, Inc./Ryan Homes. No matter what options you choose, the Palladio comes in a variety of facades and beautiful stone choices. Make this your home today! MLS#3498465. NVR Homes, Inc./Ryan Homes. Nearby shopping, dining, schools, hospital & entertainment make this the right spot for the most selective buyers. MLS#3495462. Keller Williams Ballantyne Area. Kensington Forest - The home offers three car garage, deck and wooded lot for extra privacy. Close to I-485 and UNCC. MLS#3495017. Carolina United Realty LLC. WF56H9100AG 30" Washer, DV56H9100EG 30" Electric Dryer and 2 WE302NG Pedestals will convey. - Community Pool, Tennis & Volleyball Courts MLS#3497298. I Save Realty. Abbington - Great Location in Sought-After Harrisburg. Near I-85/485, Shopping, Parks, Schools. MLS#3494685. Coldwell Banker Residential Brokerage. Owners request to remove your shoes MLS#3497725. Bestway Realty. This home is a MUST SEE! MLS#3497229. Carolina Realty Solutions. Note, lender is related to seller. MLS#3496834. Bestway Realty. Photos and/or drawings of homes may show upgraded landscaping, elevations and optional features and may not represent the lowest-priced homes in the community. MLS#3497292. NVR Homes, Inc./Ryan Homes. Stallings Farm - Close to Hwy 485 & 85, Harrisburg Shopping/Restaurants. MLS#3497123. Coldwell Banker Residential Brokerage. All of this is to be built on a beautiful lot that is just over 1/3 acre. MLS#3497149. NVR Homes, Inc./Ryan Homes. To be built on a beautiful lot that is just over 1/3 acre. MLS#3497144. NVR Homes, Inc./Ryan Homes. This home is sure to please as it will sit on a beautiful lot that is just over 1/3 acre. MLS#3497138. NVR Homes, Inc./Ryan Homes. This home is sure to please as it also features a side entry 2 car garage and a beautiful wooded lot that is just over 1/3 acre. MLS#3497134. NVR Homes, Inc./Ryan Homes. Custom window treatments and appliances remain. MLS#3496108. Allen Tate Huntersville. 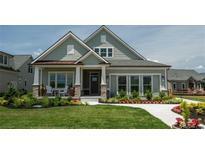 Rocky River Crossing - Home comes with a 30-day buyback guarantee. Terms and conditions apply. MLS#3495882. Opendoor Brokerage LLC. Stallings Glen - Wood floors in the dining room. Large deck. MLS#3495061. First Priority Realty Inc..